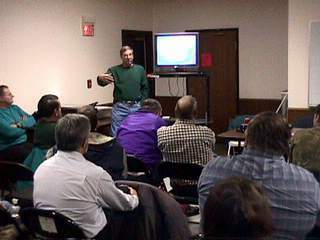 Doug Schmidt, WAØVEZ, showed a video tape of his recent trip to the Albuquerque Hot Air Balloon Festival. WA0VEZ provides commentary to club members on the video tape of his trip to the Albuquerque Balloon Festival. 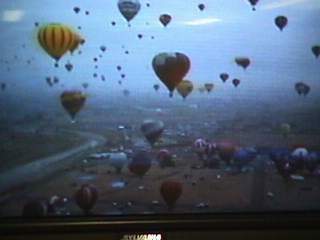 Video screen shot of hot air balloons at festival.